War of Art group show. This comming Thursday July the 7th is a group show witah bunch of solid MTL street artists. 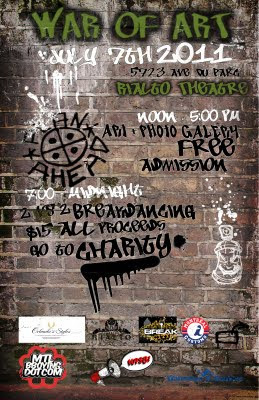 Called the "War of Art" it happening at RIalto Theatre (5723 Ave Du Parc). It is free from noon to 5pm and later it's 15$ cause there will be breakdancing battles n stuff, with all proceeds going to charity. See you there!! Last weekend I went to the opening of the Urban Ambush Yard for this season, which includes a 8 foot ramp. A bunch of great photographers showed up to capture teh session, and my sketchy moves got in teh mix, yet always my spray paint pieces behind. Check this blog HERE and also I got a chick rock in this video HERE on second 0:22. 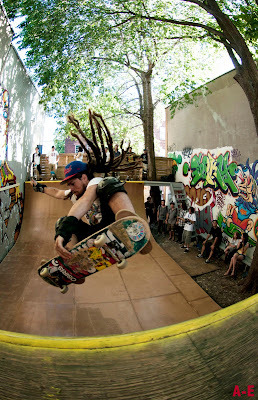 Fun times with old school Montreal Skate Community! Slide Skateboard Magazine form Peru just put an old interview they did with me a few years back online. They are helping me spread the word on my new movie that should be distributed there soon enough. 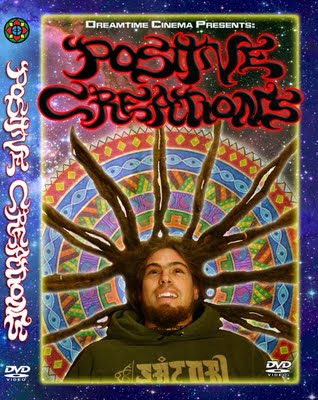 Check it out at http://www.slideskateboarding.net/2011/06/pelicula-positive-creations.html . Disfruten!! Here is a fun lil video from my b-day skate session with a couple of hommies back in March. Nothing crazy, but all fun good times at South Skate Park. Now that Summer is here I am back at doing large scale art with spray paints. 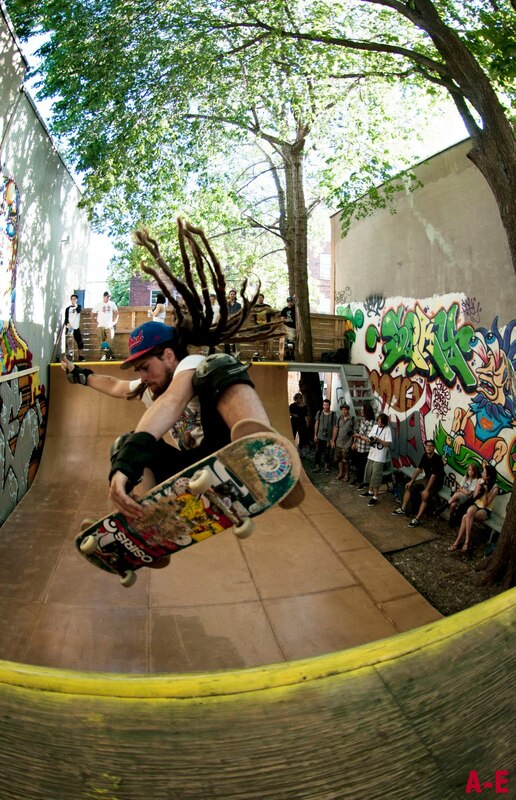 Today I hit up the infamous No Damn Good Skate park in NDG, a cool Montreal hood I lived in for years. The place is totally DIY, done by skaters for skaters to rip during our harsh winters or whenever. 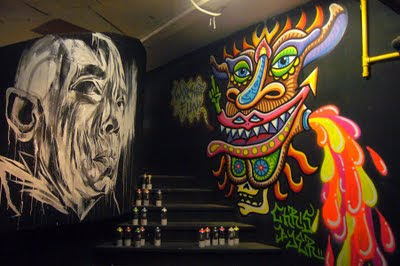 I made them this "Worshiper of Fun" in the entrance to their L shaped bowl, next to a Ben Tour piece. Locals where stoked and I got to skate a bit. If you wanna see more of my new spray paint stuff, I upload all my new stuff on my facebook fan page HERE. 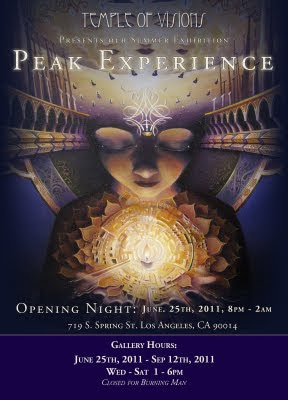 Later this month I will be part of a group show in the infamous "Temple of Visions" gallery in Los Angeles, California. The show includes artists like Mear One, Adam Scot Miller, Luke Brown, Amanda Sage, etc. 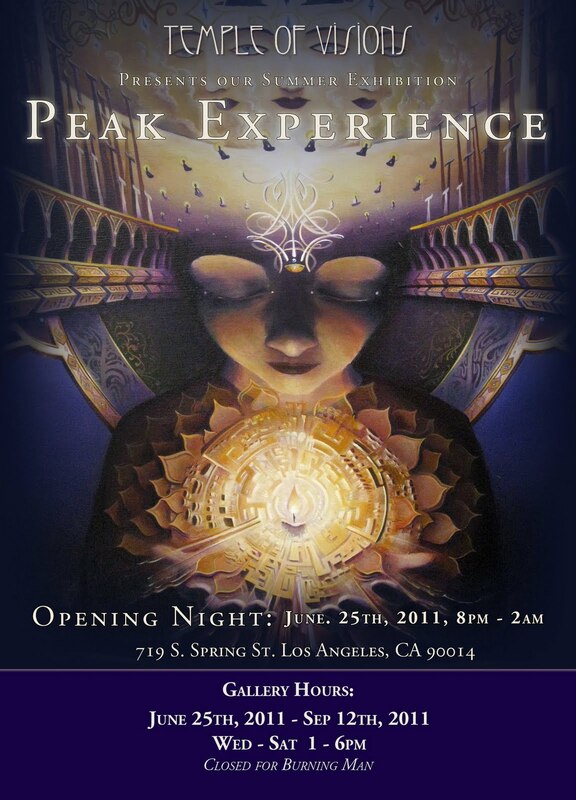 Opening is the 25th of June and the address is 719 South Spring Street, Los Angeles. Facebook event page is http://www.facebook.com/event.php?eid=223232051029914 . I can't make the opening but should be able to visit it sometime in August. This week is the official launch of my new Documentary DVD. With 1000 copies arriving at my door I gotta move them fast, so please order your copy at www.positivecreationsmovie.com/buy . The film last an hour and a half and has an extra half an hour of bonus features. It includes appearances by Ron Allen, Andy Howell, Karl Watson, Alex Grey, Other, Nilton Neves, Omen, Barry Walsh, etc. SO far the response is super positive, so I hope you get to see it!! This Thursday June 9th I will be participating in a group exhibition to raise funds for the visionary art gallery at this summer's "Open Minds Festival". 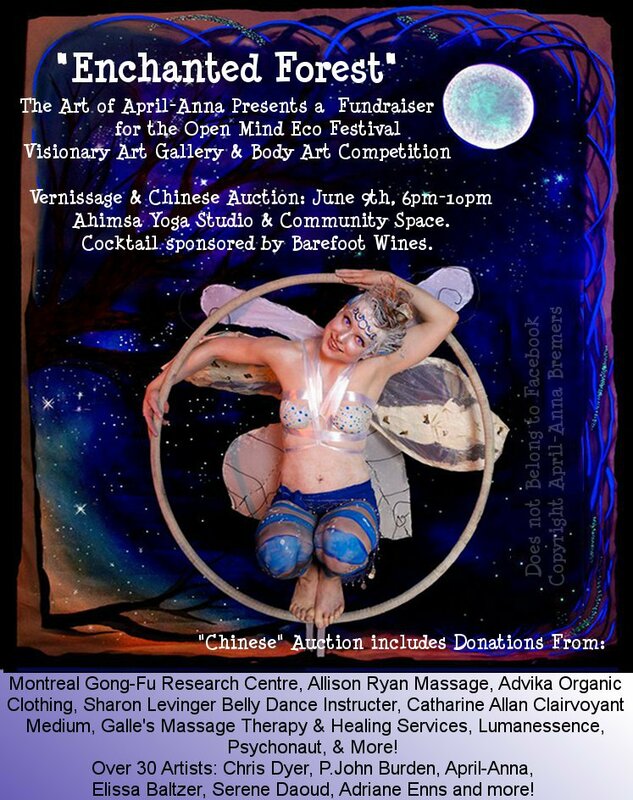 Organized by my friend April Anna (who mad eteh flyer, it will have around 25 artists, mostly from Montreal, and surroundings, have cool musical performances and a raffle with cwazy prizes. 5369 St. Laurent, Suite 240 in Montreal. See ya there/then.